A great looking prop to bring your Halloween display to the next level. 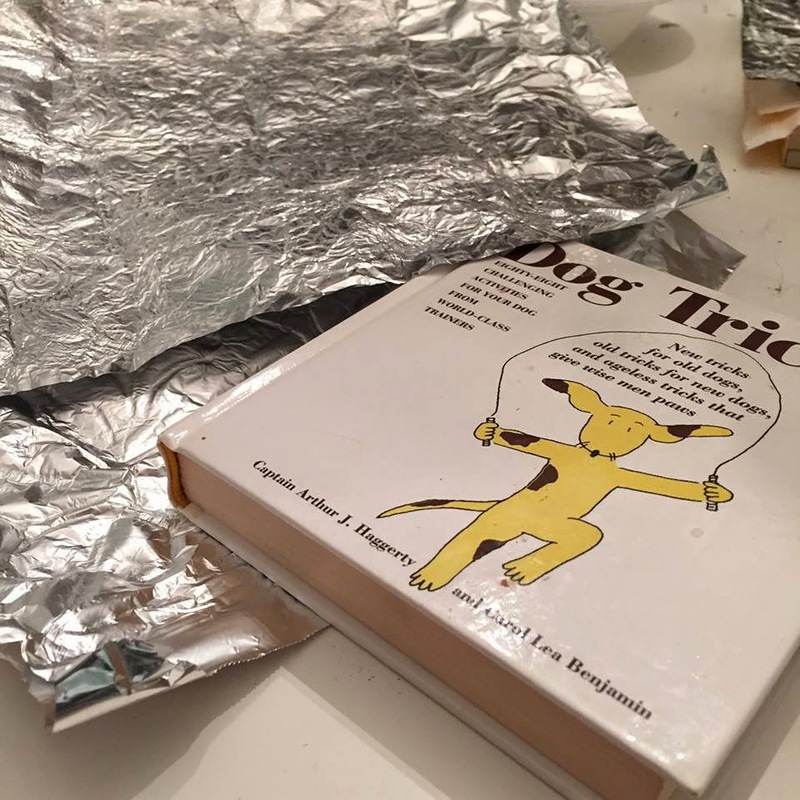 This "book of spells" is merely a hard cover little book about dog tricks, but no one would know that, specially when the creepy cover is enough to turn any prospect reader away. 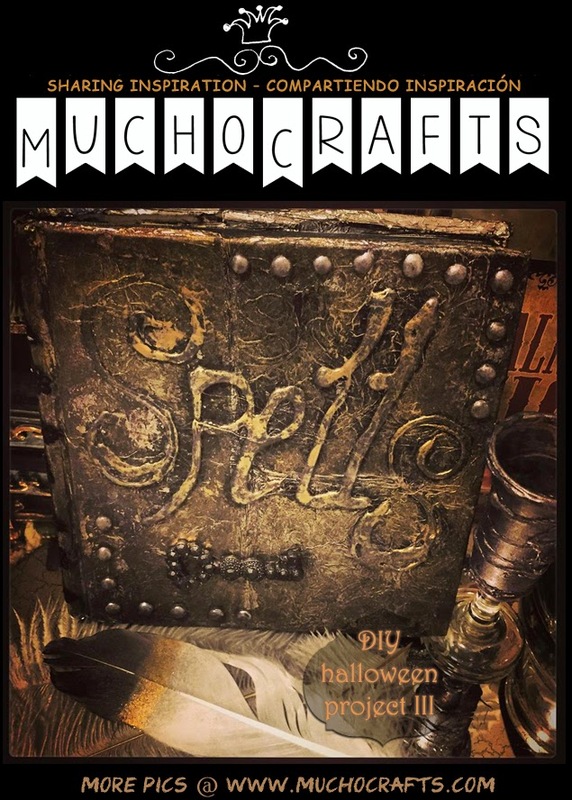 If you're really motivated to create something different this Halloween, be my guest! 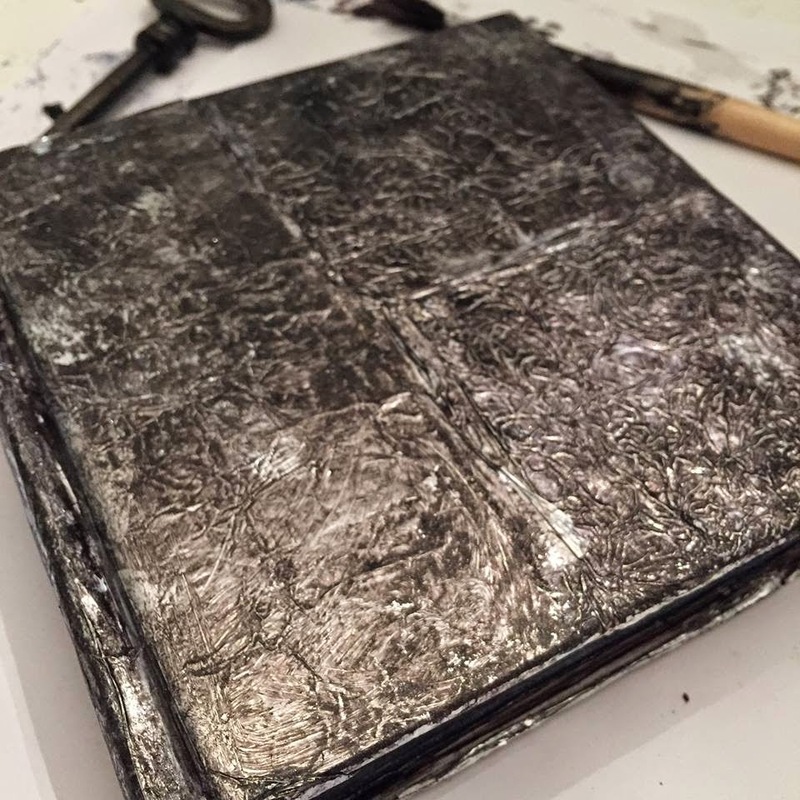 Start by texturing your aluminum foil by pressing it against anything with an interesting texture design, I used a square rubber stamp but it can be a plate, a frame...anything at all! 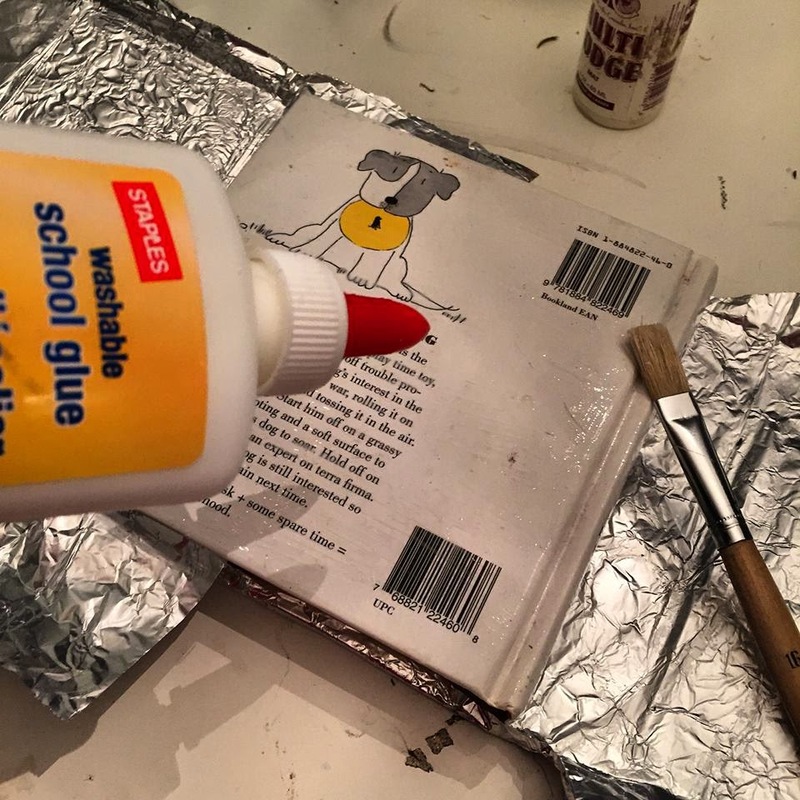 I started by gluing the cover of the book and tucking in the foil to create the base cover. 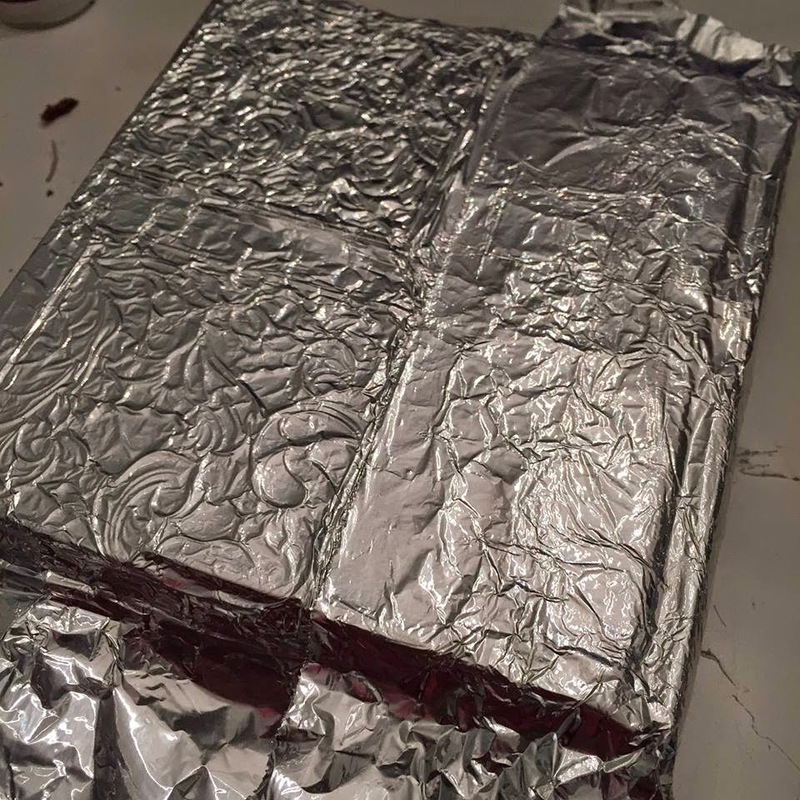 Working with foil is very forgiving so go ahead and glue it to make the book look completely done with texture, back and front! 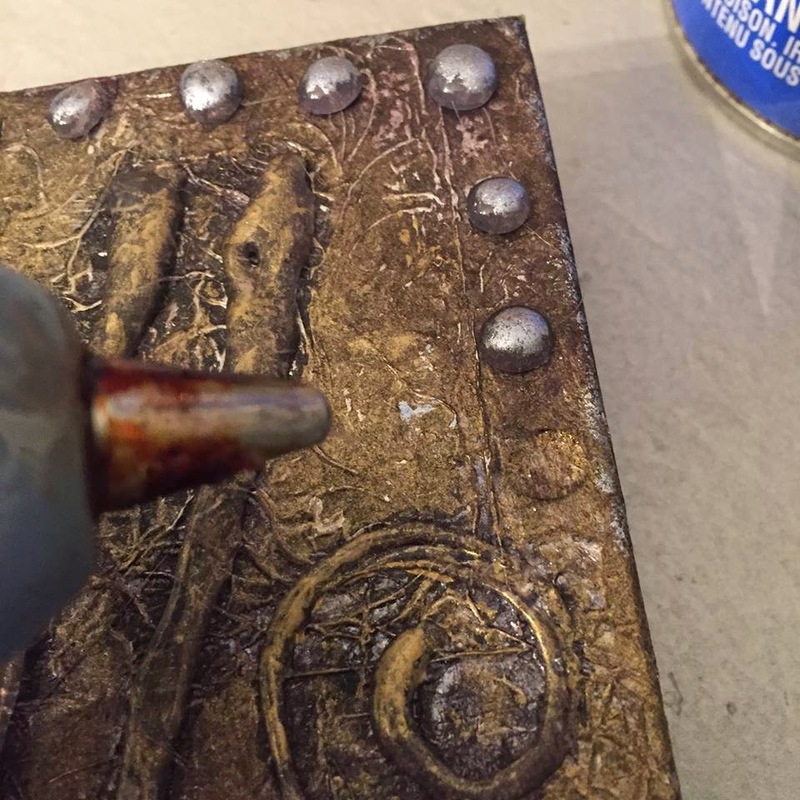 Once dried, start layering your paint colours, use metallics, dark's and lights... anything is ok until you achieve the desired look. 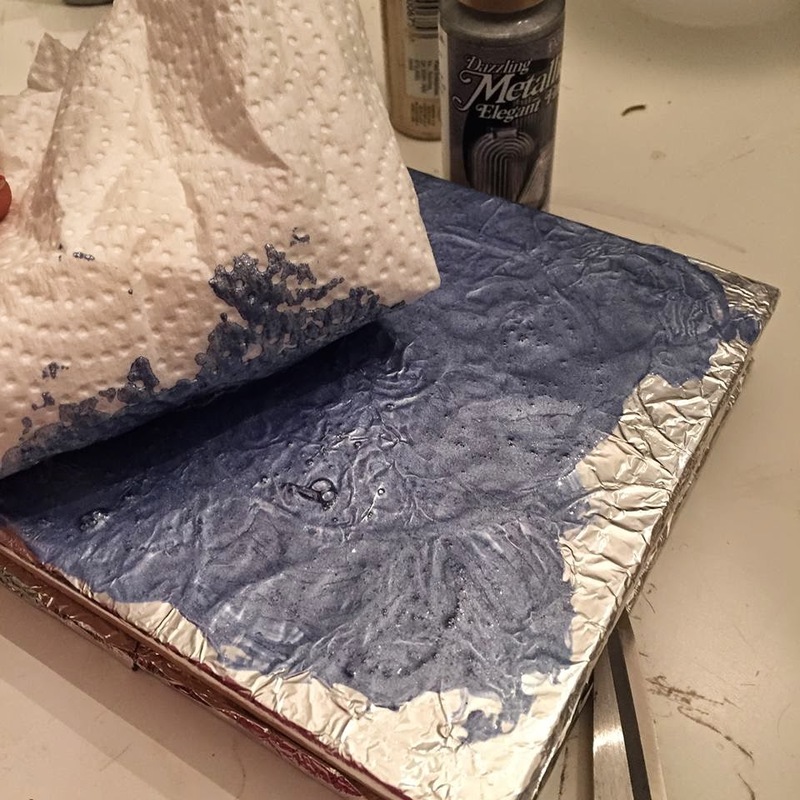 Use paper towel and NOT a brush for this project, it will help you bring out the texture even more. Keep layering your paint in dramatic colours, no need to be exact just have fun with it! 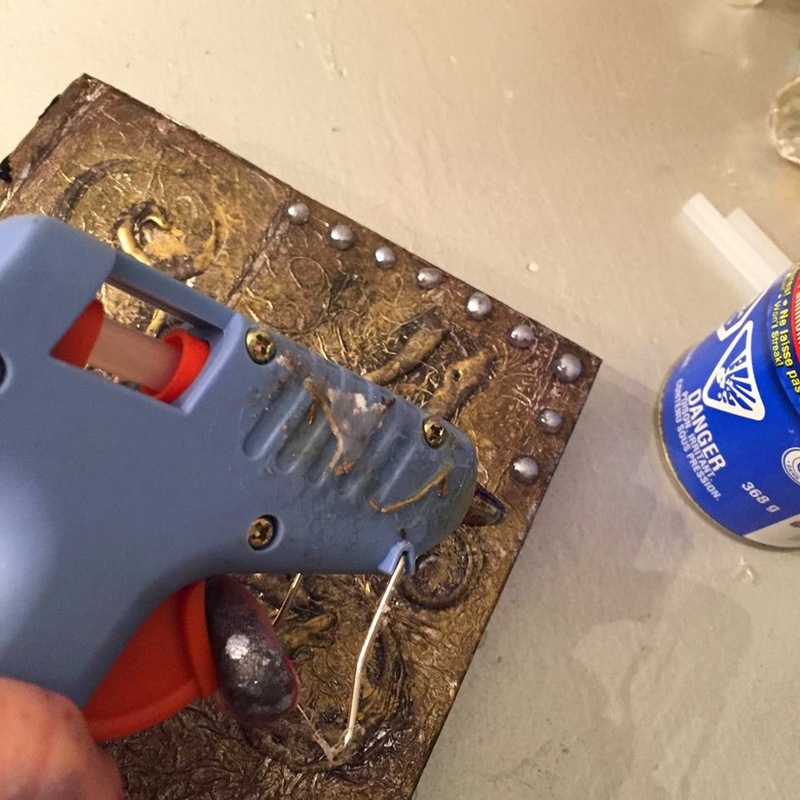 Once you achieve the look you want, let it dry for a few minutes and start planning your hot glue design. 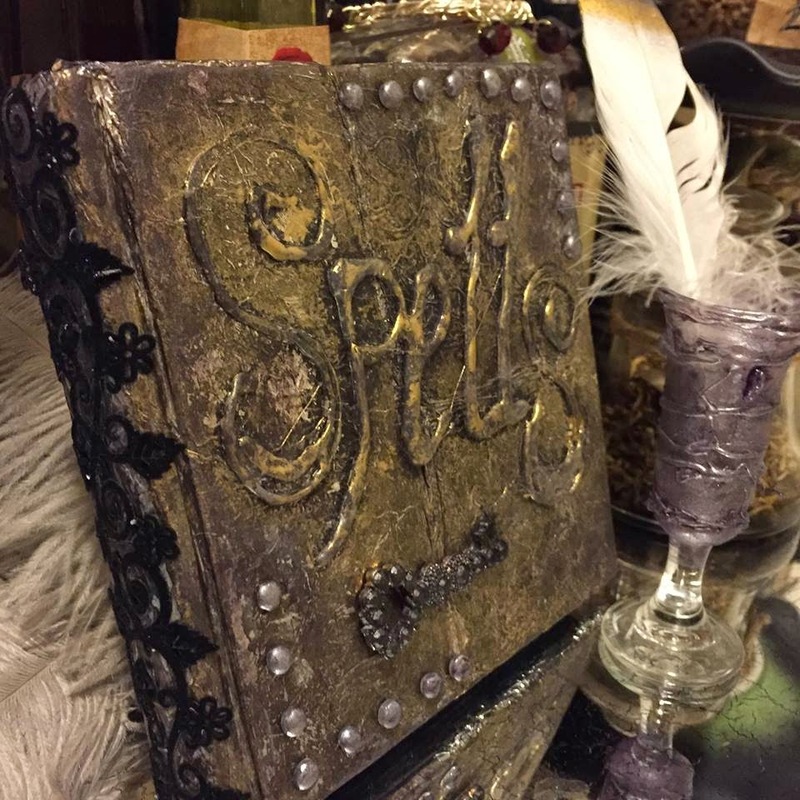 I wrote the words "SPELLS" in bold script writing to give it a more authentic feel to my design and added a few dots to make it look like thumbtacks on a leather cover...it worked! It is better to work fast when you use this technique so plan your design on paper first. 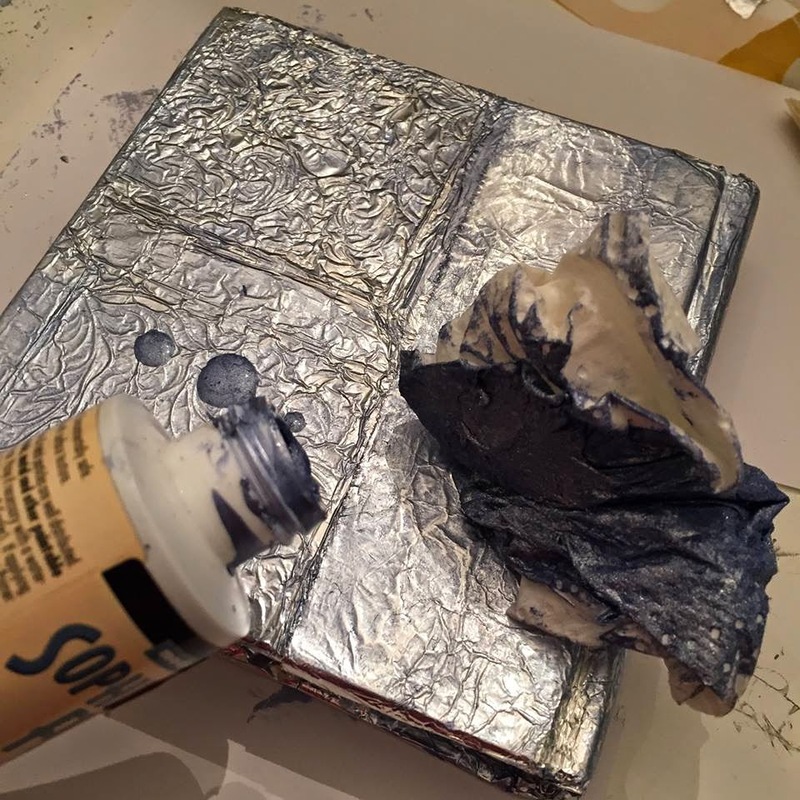 Once your hot glue design is dry and cool, dab on some complementary paint colour to it to make it stand out even more. Great job and awesome tutorial. 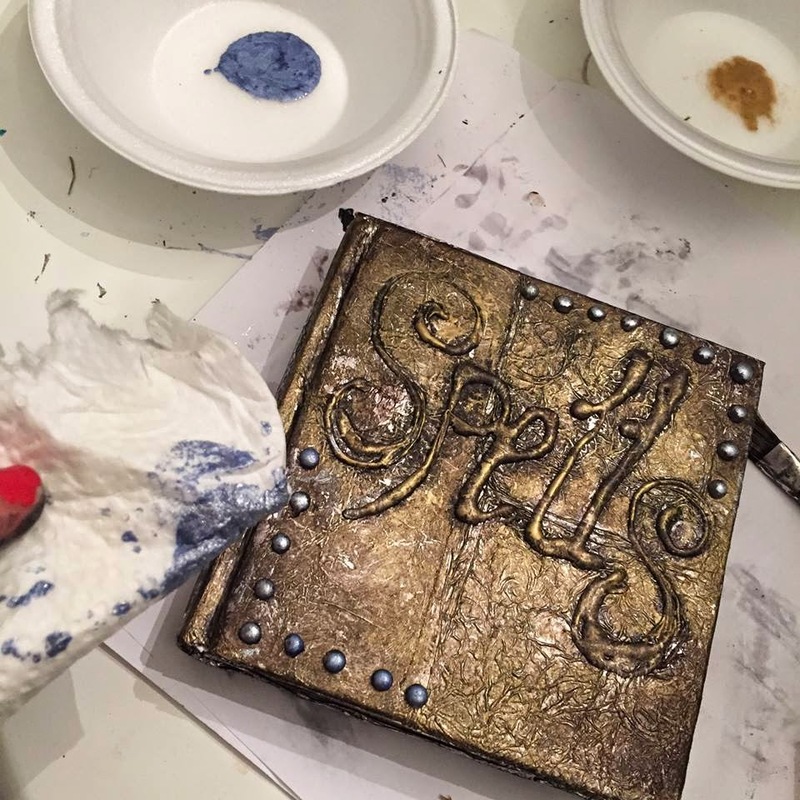 I`m going to use this technique for my Book Of Shadows. Thanks Kiki!!... please post a pic of your book of shadows when you're done!! Yeah I am in love with this! Great idea and I am planning on doing this. 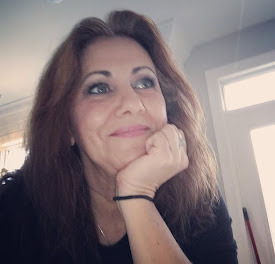 Maybe to make a recipe book! I love things that look like this. Thank you so much. 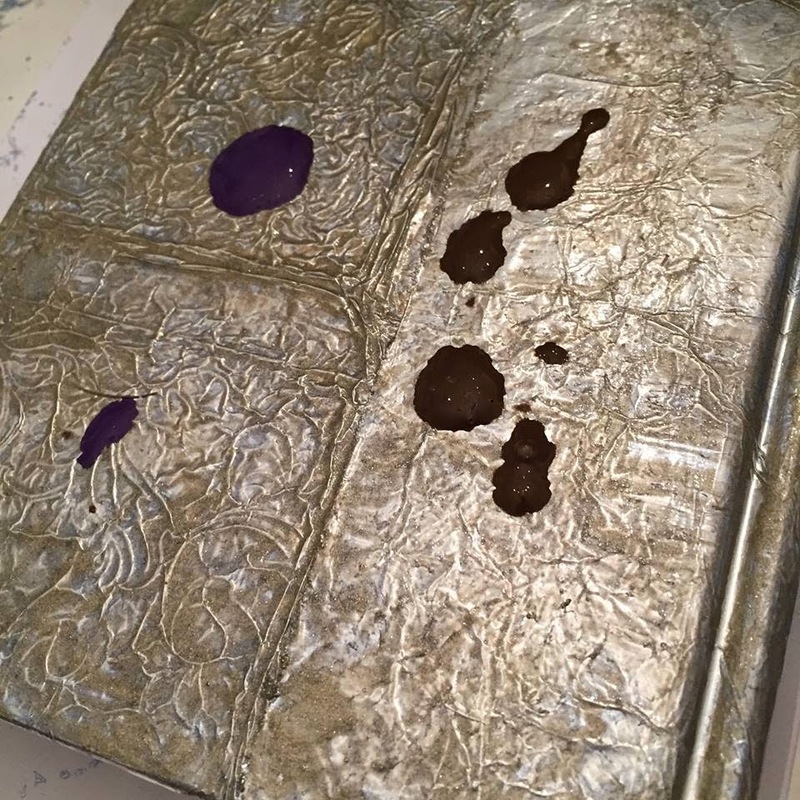 I'm a fan of Steampunk and this technique is incredibly easier than using alcohol inks, and less expensive too! Would love to learn how to take a plastic light up galactic gun & turn it into a steampunked anachronistic Victorian sidearm...!